This August in Pebble Beach Gooding & Co. will offer the 1948 Alfa Romeo 6C 2500 Sport Corsa Competizione. Only three of these cars were built, all designed and hand made by the Alfa Romeo racing department. 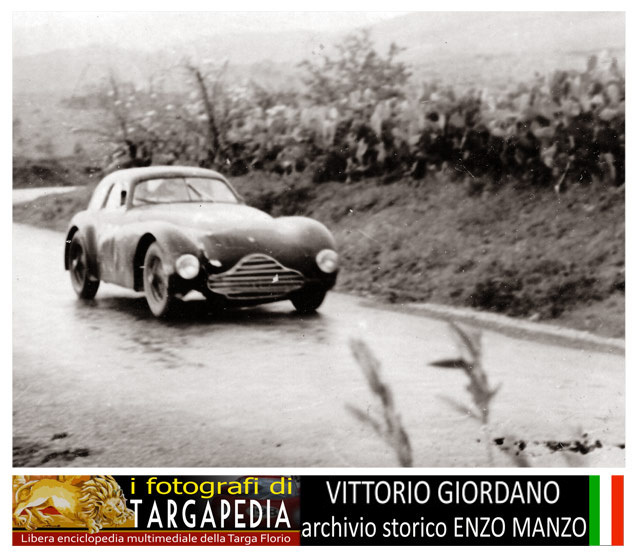 The cars all had storied Mille Miglia histories racing between 1948 and 1951–the first car built, S/N 920001, crashed and was later rebuilt with a new body; the second car, S/N 920002, came in third in the 1949 race with driver Franco Rol behind the wheel; the third car, S/N 920003, crashed during the 1950 race and was a total loss. This car was the second car built (#002) and is the only one remaining with its original body work. It was discovered in 1983 in a bad state having been left to rot in a graveyard of cars outside of Paris. The car was restored in 1984. 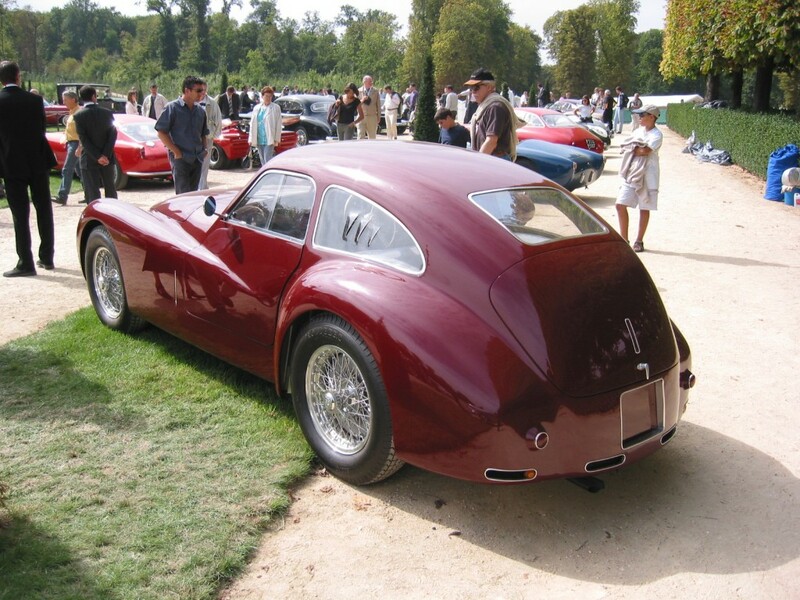 The Alfa Romeo 6C 2500 was a very special series of cars to begin with and having a rare Competizione model just sweetens the deal. While some angles make the car look really special there are a few that let it down for sure; although that could probably be overlooked given the rarity of this machine. The no doubt seven figure price someone will pay in August for the car will be well worth it for those collectors who cherish racing history and/or just love a good Alfa. What true petrolhead doesn’t? A brief history of coach building for the unintiated: Cars used to be sold by car manufacturers as a rolling chassis with the engine, wheels, suspension, steering, brakes, etc. (all the mechanicals if you will) attached to the frame of the car. Buyers could then have the car taken to the coach builder of their choice who would then build a specific body for the car to meet the buyer’s specification. A buyer could purchase a complete car from the original manufacturer but the more stylish often chose instead to have something more special created for them. While there were many coach builders back in the day who created some very spectacular cars, no one has the portfolio of Figoni et Falaschi. Giuseppe (Joseph) Figoni was born in Piacenza, Italy in 1894 but moved with his family to Paris at a young age. He began his metalwork career at age 14 as an apprentice at a wagon builder, then was called away to the war. Upon returning from WWI he opened a body shop in the Parisian suburbs. By 1925 he was building complete re-bodies for customer cars. 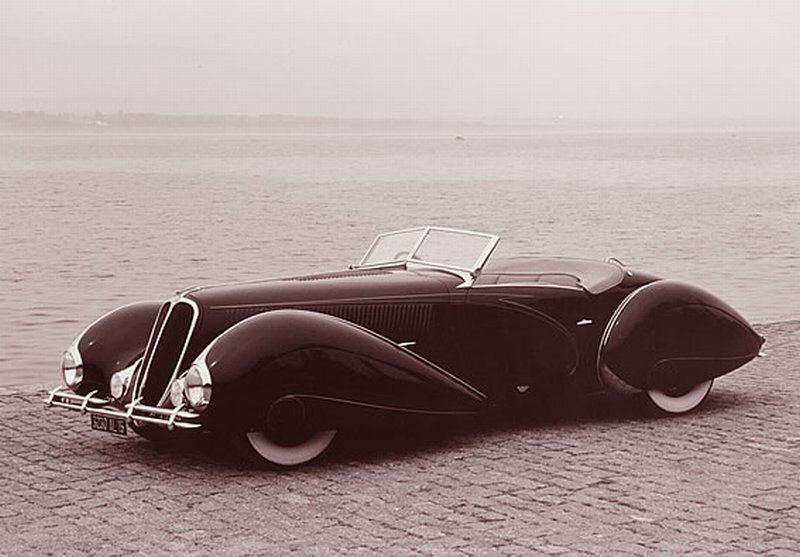 Within a few years he was creating automobiles of spectacular vision and drama. Figoni was significantly influenced by the emerging aviation industry. His work was focused on aerodynamics. All bodies were hand formed from sheet metal over ash bucks of his own creation based on initial sketch work. It was not uncommon for the chassis to be built, taken apart, and re-built–sometimes two or three times–before the exact lines were correct to his eye. A big lover of the use of color in his designs, Figoni was excited to use newly created paints on his creations. Many of his cars were painted in two- or even three-tone paint schemes. With a great eye for design and a flair for the dramatic he even worked with top fashion designers to create clothing to match the lines and colors of his cars. 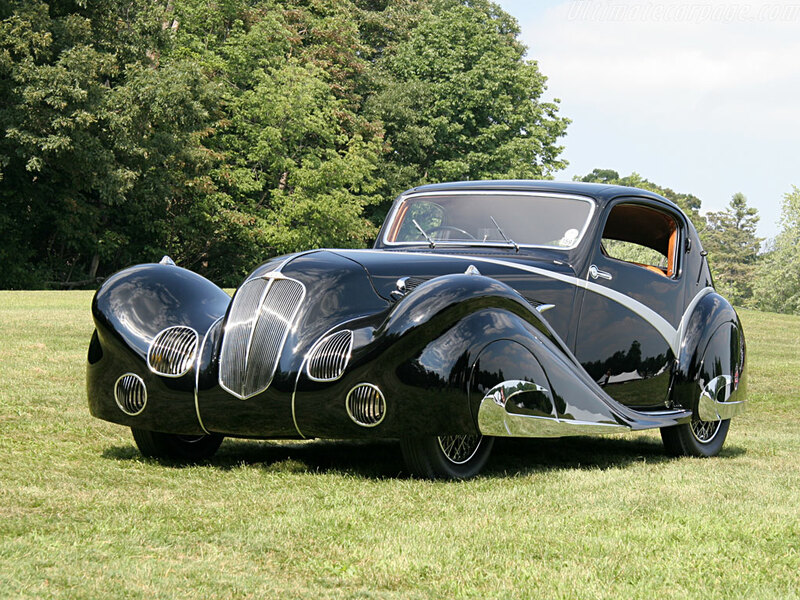 Falaschi would refer to the two of them as “true couturiers of automotive coachwork.” The next year they created a sensation with the “Goutte d’Eau” (tear drop) coupe they built on a Talbot-Lago T150SS. Things would never be the same in car design. It was clear now that a car could be more than just pretty. It could be art. The Mercedes 450sel 6.9 is a brute in a tailored suit. Back before Mercedes had the AMG arm to do their dirty work there was the 6.9. The car was ostensibly just a top of the line 450 SEL with the biggest engine Mercedes made–taken from the 600 limousine and shoved under the hood. Of course it was really more complicated than that; among other things the engineers also gave the 6.9 a special adjustable hydraulic suspension to create a stable and comfortable ride to handle all that power. The suspension was self-leveling and adapted to any and all road conditions that the 6.9 owner might come across. The system was so good that 6.9 reviews of the era reached for comparisons that ranged from the comfort of a Rolls Royce to the sportiness of a Mini. By all accounts the 6.9 was an epic engineering success. Automotive journalist Brock Yates famously drove one around the Road Atlanta race track for 100 miles at full tilt and the car was no worse for the wear. Yates figured that at the time there was no other production sedan in the world that could perform a similar feat. Even today modern cars would struggle to match such a record. At a cost of $38,240 in the United States–where the majority of the 7,380 made were sold–the 6.9 was by no means cheap when new. 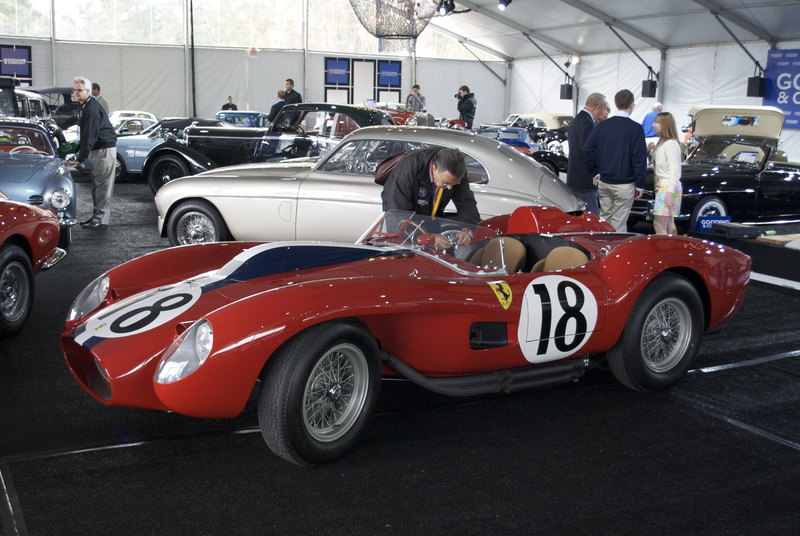 Plenty of celebrity owners, from Frank Sinatra to the Shah of Iran, reached for their check books to add a 6.9 to their garages. These days the cars are often found in very bad condition, having suffered from the high costs of maintenance that have lead their successive owners to ignore or patch issues until they are no longer road worthy. The biggest problem the 6.9 faces is that it is still too undervalued to make it a cost effective car to restore and that means that less and less of them are around to enjoy. The 6.9 was, and still is, the ultimate sleeper. Looking just like a regular 450 SEL, without the addition of the 6.9 badge on the trunk it is nearly impossible to tell the two cars apart. The lightweight V8 engine produced 286hp with over 400 lb ft of torque in Euro spec. With the first ever use of anti-lock brakes in a production car as an added measure of control the car was without peer. It was the fastest 4-door sedan in the world. The last word on the Mercedes 450 SEL 6.9 is the 1976 short film C’était un Rendez-vous by French filmmaker Claude Lelouch. The film shows a bumper level view as a driver races through Paris at sunrise to meet a young woman. For many years it was believed that the car used was a Ferrari 275 GTB/4 because of the sound of the engine. Only a few years ago now Lelouch himself revealed that the car used was his own Mercedes 6.9 and the engine noise was dubbed in afterward. If there was ever any doubt about the status of the 6.9 as the ultimate sleeper, this eight minutes of film puts the issue to rest. Enjoy–and make sure the sound is up because even though it’s not the 6.9 engine, the 275 GTB/4 is glorious as well. In 1968 Citroen bought Maserati. It was an odd decision but one that would lead to an amazing creation: the SM. Citroen was known for it’s quirky but seriously advanced automobiles; Maserati was known for being…well, Maserati. Citroen wanted to create a GT car but they knew that they would need something more luxurious and powerful than their wondercar the DS if they were going to be taken seriously. They immediately put Maserati engineers to work designing a new 6-cylinder engine and hired Robert Opron to do the styling. The end result, was plain and simple, one of the most profoundly cool cars ever built. Even today it still looks futuristic, albeit in a retro-futuristic sort of way. Everything about it is special. The SM stood for Sports Maserati–though there are many who argue that Sa Majeste (French for Her Majesty) was more apt. The SM used the oleopneumatic hydraulic systems of the DS which meant that the car had hydraulic brakes, steering, and suspension. The suspension system gave the car the same high level of comfort of the DS, though given the system’s propensity for a strong lean in the turns it did take away some of the sports element. The steering was a revelation. Self-centering with just two turns lock to lock it was capable of varying the feedback based on speed. Brakes were discs on all four wheels with the front set inboard. 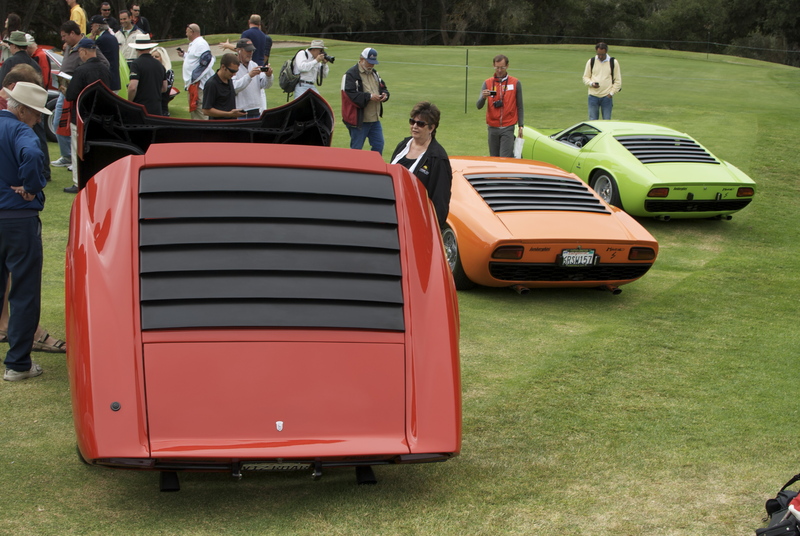 These were cooled by two vents low under the front grille. Six headlights were set behind perspex covers helped light the road ahead with the innermost two lights turning with the wheels. (In the United States obnoxious legal restrictions prevented forced them to replace these magnificent lights with four uncovered round headlamps which ruined the look of the front of the car.) The car even had rain sensing windshield wipers–in 1972! It was not quick at 8.5 seconds to 60 thanks to the somewhat low 170hp and 3300 pound curb weight. With a low drag coefficient of 0.33 it could reach a top speed of 140, though some tests showed higher. It’s raison d’etre was not about flat out speed though, it was about long distance, high-speed cruising for four–hence it’s GT status. It’s hard to imagine a more suitable car for blasting from Paris to the Mediterranean. Motor Trend magazine named the SM Car of the Year for 1972. At a cost of $11,500 in the US and $9,500 in Europe, SMs were owned by a veritable who’s who of celebrities, politicians, and millionaires with good taste. The complex engine would cause a number of challenges for owners however, and by 1975 Citroen could no longer out run the fact that the car had serious reliability problems and production was ended. In the end 13,000 were made between 1972 and 1975. A handful of special one-offs were built as convertibles or sedans, but the car is really best realized in it’s original form. Sadly the reliability issues of the engine combined with the high maintenance hydraulic system became a big problem for owners, especially those outside of Europe, as it was necessary to have access to both a Citroen mechanic AND a Maserati mechanic in order to keep the car running well. As time passed more and more SMs were left to rot after one too many costly repairs became necessary. The Citroen SM was a work of art. 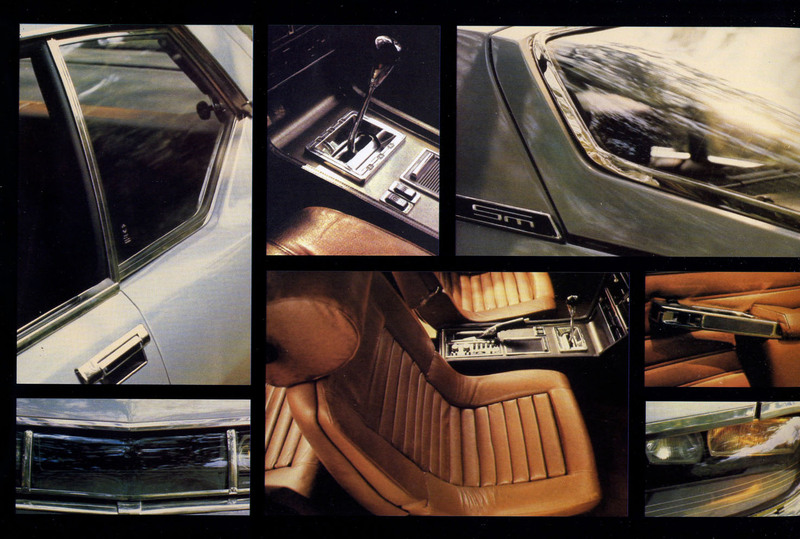 A sublime moment for automotive design that still looks modern today nearly 40 years after it was first introduced. 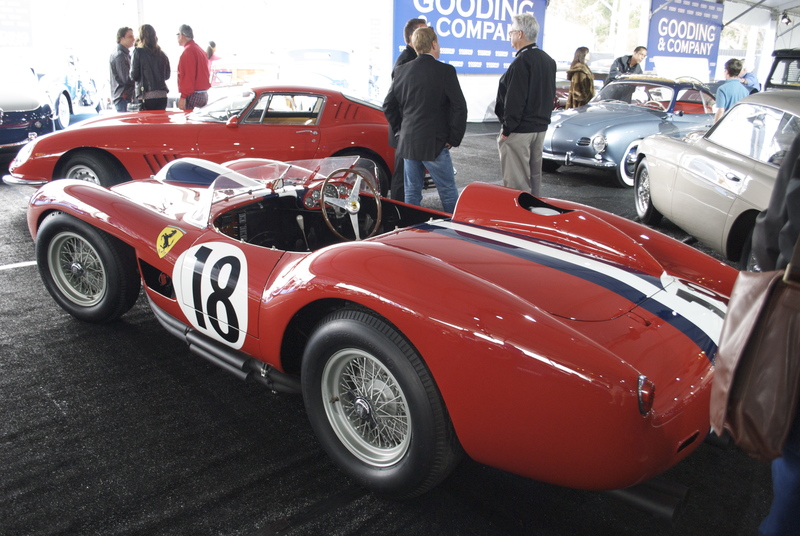 A new world record for a car sold at auction was set tonight at Gooding & Company’s show at Pebble Beach. 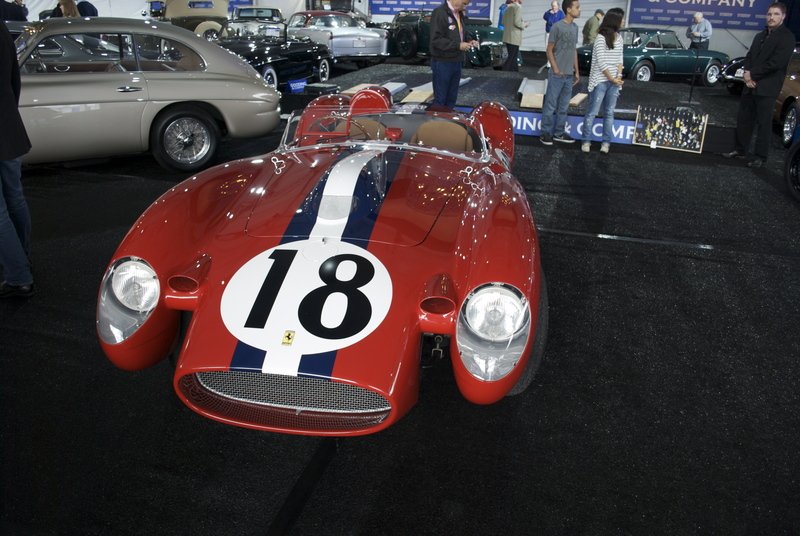 This 1957 Ferrari 250 Testa Rossa sold for $14,900,000.